The D Throne S Electric Car has been designed by Hyunsoo Choi and Taeno Yoon and, quite frankly, might well be the most luxurious and decadent child’s toy you’ve ever seen. 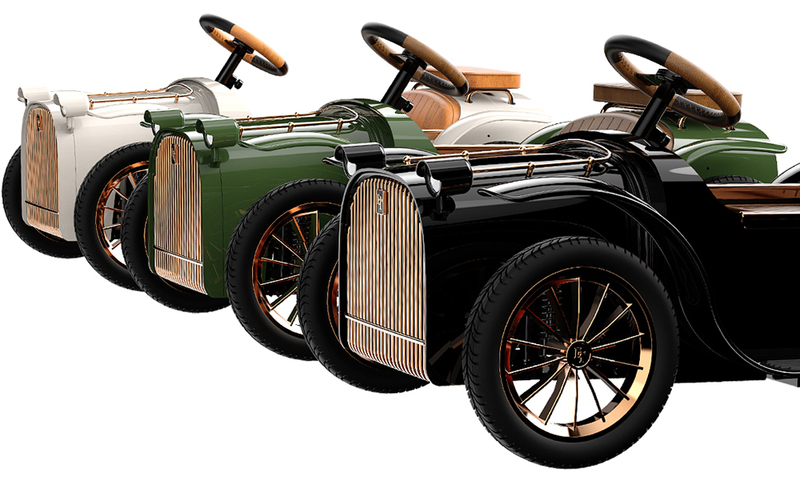 For those of you with a love of luxury vehicles, this is one in a million chance to make your child have the same tastes as you and the quality of the craftsmanship is unparalleled considering that it’s intended for use by a child (for the most part). D Throne are a Korean brand and they are currently on their third generation of their electric cars which just seem to be getting better and better with time. 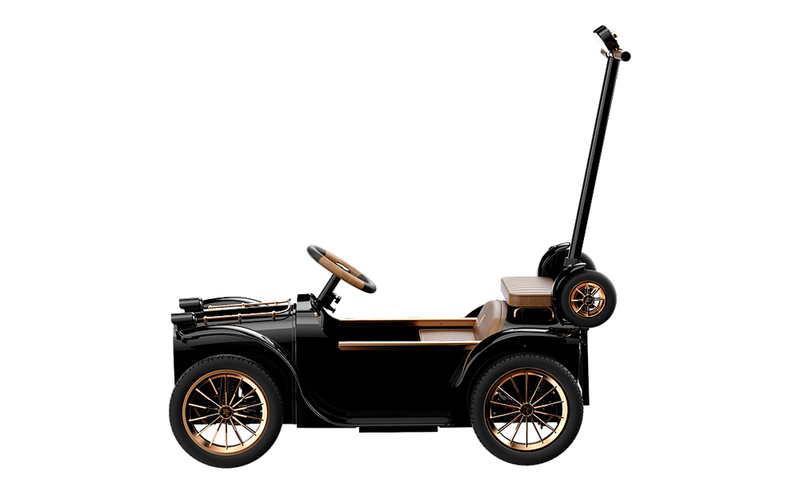 It’s not often that you see the attention to detail and impeccable design quality that is on show with the D Throne S Electric Car and for those who really want to spoil their child with a piece of automotive awesomeness, this is surely the chief candidate for the job. 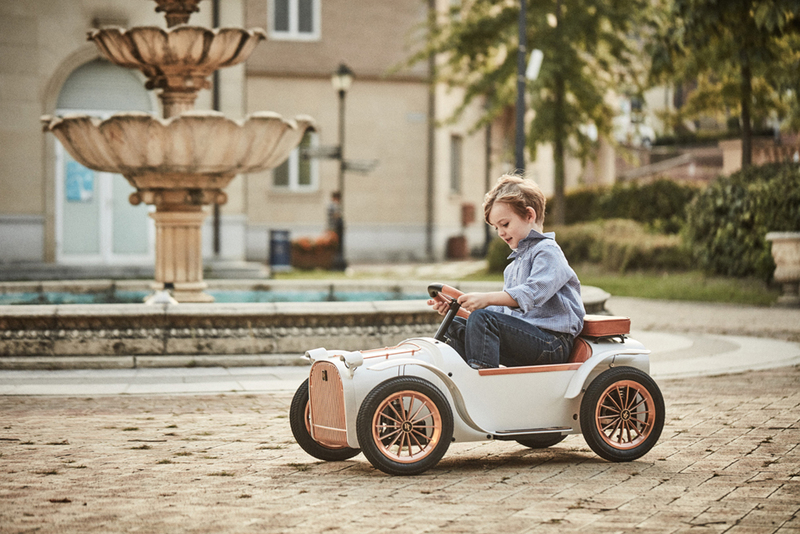 Outrageously stylish and well made, the D Throne S Electric Car is a children’s toy that most parents will be jealous of and it’s testament to the quality of the craftsmanship that they wouldn’t look out of place in any luxurious household. Boasting a design aesthetic inspired by the vehicles of the early 1900s, there is an awful lot to love about these contraptions for the little person in your life. Just because these machines have been designed for children, that doesn’t mean to say that an impressive attention to detail hasn’t gone into their construction and you’ll be blown away with all the neat little design touches on show both internally and externally with these first rate contraptions. So, you child will have a good taste to the most expensive cars.